As Chinese Millenials are crucial in China, representing some 30 percent of its population, local casino operators should take an active role in providing facilities to address the growing importance of non-gaming activities in the region. These include retail, hotel, restaurant and entertainment offerings, says Margaret Huang, global gaming and lodging analyst at Bloomberg Intelligence. 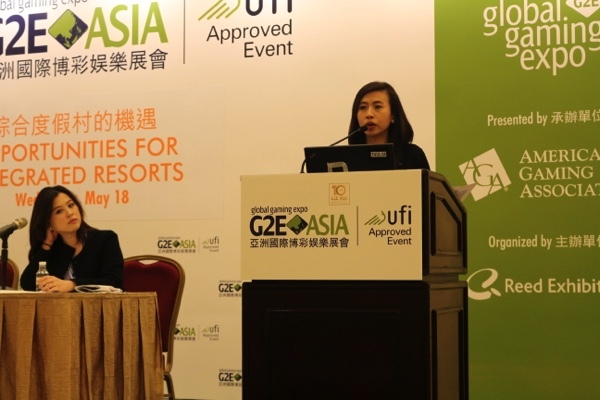 Huang emphasized the need for casino operators to get to grips with the trends that excite this market segment. She revealed that Millennials have a sense of “adventure and individuality,” as 60 percent of them prefer to travel independently. “Because they want to show off to their friends and family. It’s got to be that activity where it’s kind of exclusive, unique and different, and show their authentic side, culturally speaking,” said Huang on the sidelines of the G2E Asia 2016 conference that concluded last week. resorts are able to complement their gaming revenues. Lim suggested that the region needs to have extensive shopping offerings as Chinese Millennials as a group spend the most in this area. As many as two-thirds of this group are considered to be in the high-income bracket. According to studies Lim presented, retail sales in 2014, particularly watch and jewelry, grew faster than visitor growth, designating Macau a “retail paradise” up until that point. However, due to the anti-corruption crackdown, the analyst said the city needs to embrace the fact that it is “shifting away from ‘retail paradise’ into creating a new ‘shoppers paradise’ for visitors,” implying that businesses should invest on trends that appeal to the millennial group. “So this requires operators […] to look into that [skill] mix, the brand mix and more importantly; how they actually want to position themselves to their visitors,” said Lim. She also revealed that 51 percent of Chinese Millennials buy luxury goods when traveling overseas, more than double of Asia Pacific’s 20 percent average. She hinted that 27 percent buy luxury tech gadgets. Meanwhile as of 2015, only 7 percent of Macau’s total revenue was generated from non-gaming activities, which presents to businesses an opportunity for growth in this sector. Thus the analyst suggested that casino operators and businesses should tap into the millennial group as they are likely to be the perfect market segment for non-gaming activities.